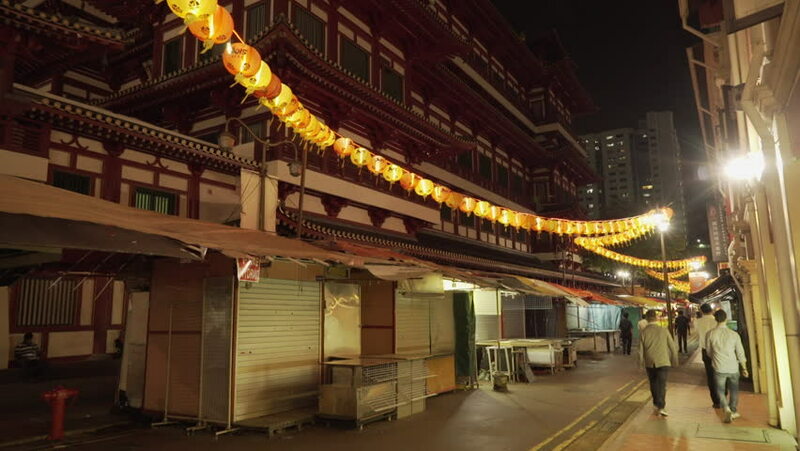 Singapore, March 2015: Chinese Buddha Tooth Relic Temple, pan from Chinatown streets at night. hd00:26ZENICA, BOSNIA AND HERZEGOVINA - APRIL, 2017: Video of the Details mosque. Sultan Ahmed Mosque in Zenica. Editorial use only.